Activists push for CTA-like frequency on Metra line. A Metra train arrives at the 59th Street Station, a block north of the 60th Street station the University of Chicago has committed to spend $2.5 million reopening. 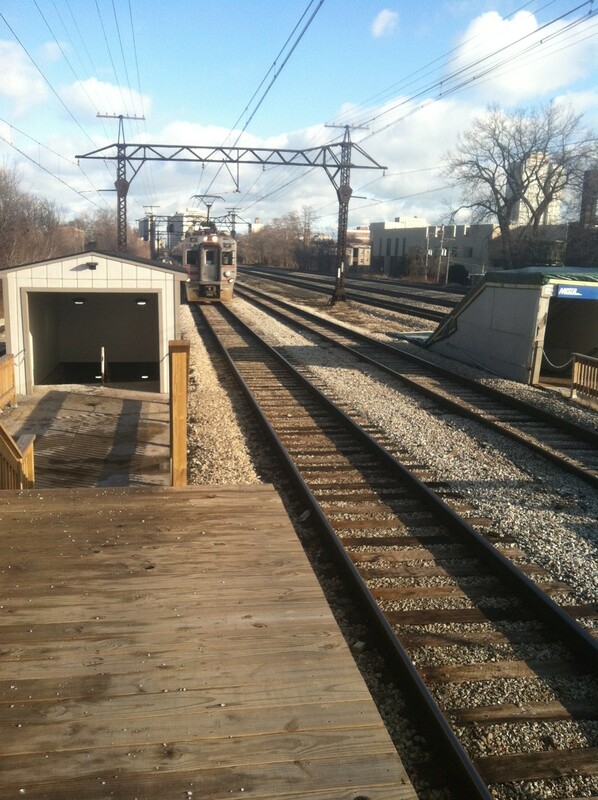 In the recently signed 2015 Memorandum of Understanding (MOU) between the University and the City of Chicago, the University reiterated its promise from the 2011 MOU to spend $2.5 million and partner with the City and Metra to improve the Metra platform at 59th Street and reopen the 60th Street station. The 2015 MOU explains that the required public funding still has not been secured. “Since the 2011 MOU was signed, the University has had a number of positive discussions with Metra about the stations at 59th and 60th Streets. While action from Metra is pending state funding, the University’s commitment to this project has not changed, and we look forward to continuing discussions with Metra,” Director of Communications for Civic Engagement Calmetta Coleman said. The Metra Electric line was originally built by the Illinois Central (IC) Railroad. In 1987, the IC sold its electrified suburban line and the two branches to Metra for $28 million. The IC line used to stop at 60th Street, but the station there is currently abandoned. To improve public transportation on the South Side, 13 community organizations and activist groups signed a letter recently published in the Hyde Park Herald and the Chicago Maroon to advocate for CTA to run the current Metra Electric line. “The Metra Electric…is a hugely underutilized asset. If it runs like CTA lines, with trains every 10 or 15 minutes, full Ventra integration, and a transfer discount, the Metra Electric could unlock the enormous development potential of the South Side and south suburbs,” the letter said. Organizations that signed the letter believe that the location of the Metra Electric line is a huge advantage. “The Metra Electric currently expands further south in the city and out to the suburbs than other CTA lines…. It could also be integrated with Pace and CTA routes to make a more robust system further south,” Shira Orlowek, operations manager of Midwest High Speed Rail Association, said. The goal of the proposal is identical to the campaign for the CTA Gray Line, a plan to transform an existing Metra branch into a new CTA line. “I first got involved with trying to enhance the service on the Metra Electric in 2008...The idea of running the Metra Electric lines like a CTA line has been around for a long time,” Linda Thisted, spokesperson of Coalition for Equitable Community Development, said. The CTA is working to extend Red Line service from 95th Street to 130th Street. “We’re continuing to develop the project’s draft Environmental Impact Statement, a required part of receiving federal approval and funding for a major transit project. We anticipate that, subject to FTA [Federal Transit Administration] approval, the draft EIS [Environmental Impact Statement] would be published this year and we’ll hold public hearings on the project,” Tammy Chase, director of communications and media relations at the CTA, said. After public meetings in 2014, the CTA has narrowed down to two possible routes for the expansion, both of which require the CTA to build new tracks. “Since we have not yet selected a final design for the project, we don’t know how long it would take to construct the extension,” Chase said. The CTA did not directly respond to advocates for extension of CTA service to the Metra Electric line. “We’re working on extending the Red Line to 130th Street and improving bus service on the South Side. That is all we’re focused on,” Chase said. There are doubts about the feasibility of extending the Red Line. “The CTA has been planning on extending the Red Line for over 20 years. It will cost [over $1 billion] and so far no money has been committed to making this happen,” Thisted said.